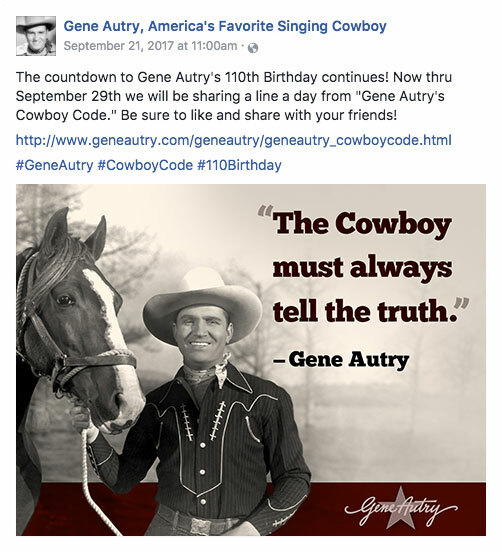 America's Favorite Singing Cowboy, Gene Autry was born on September 29, 1907 and we think it is worth celebrating every year. 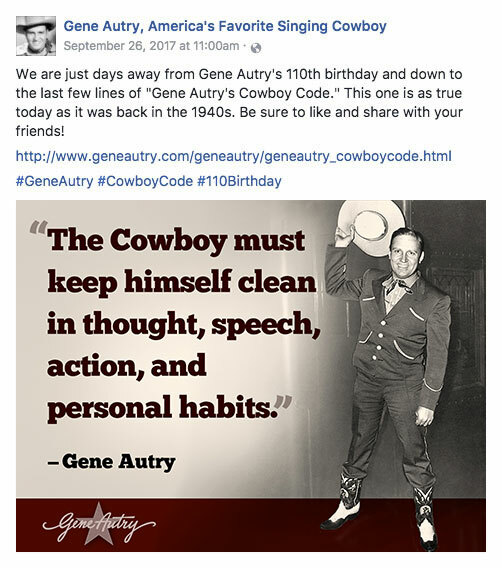 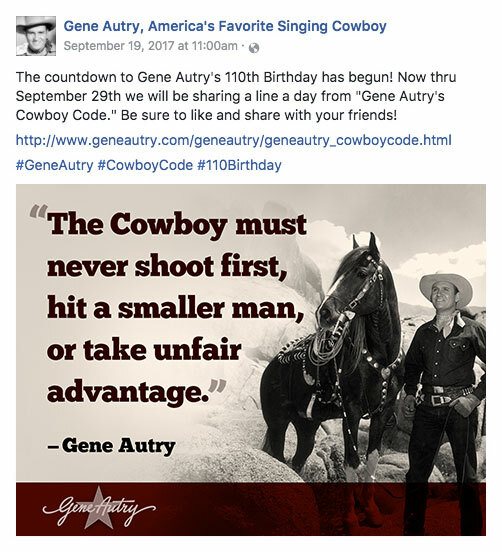 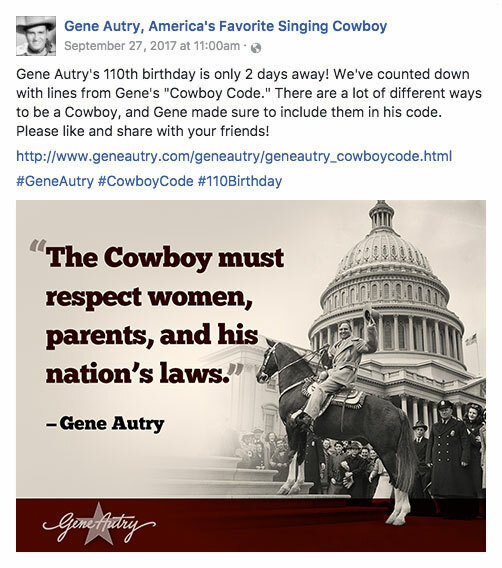 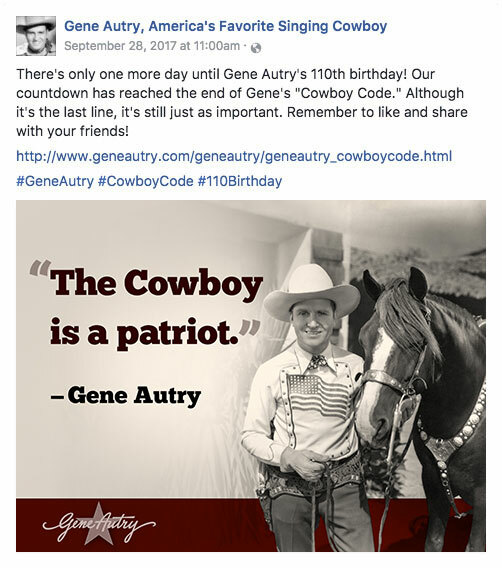 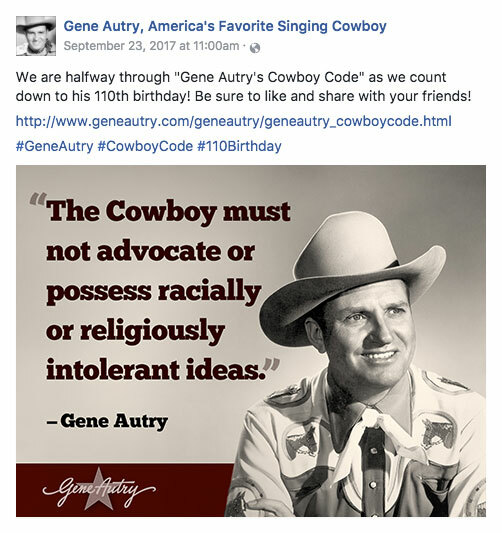 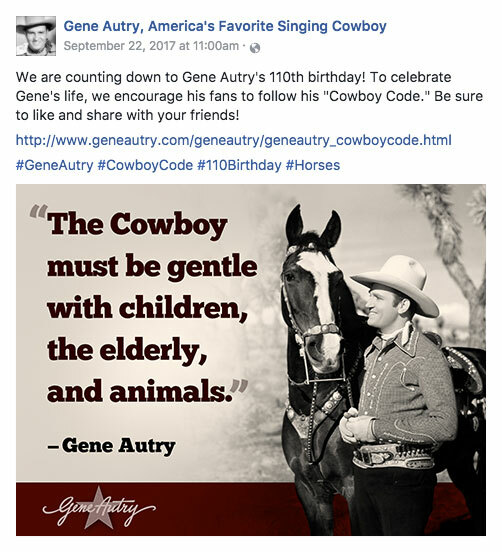 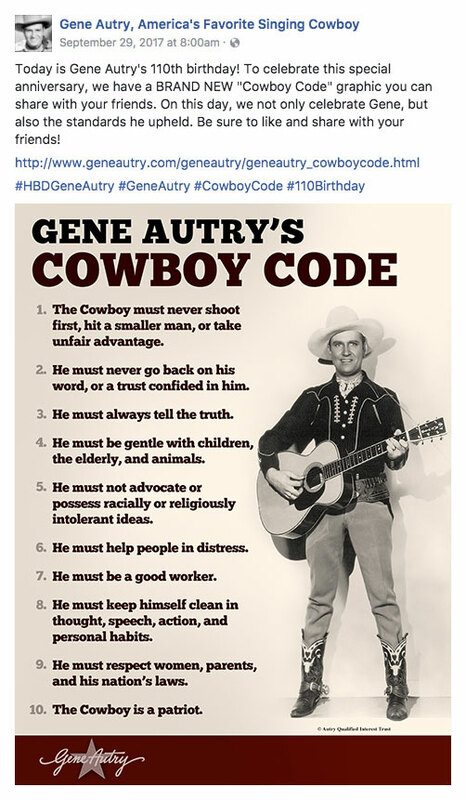 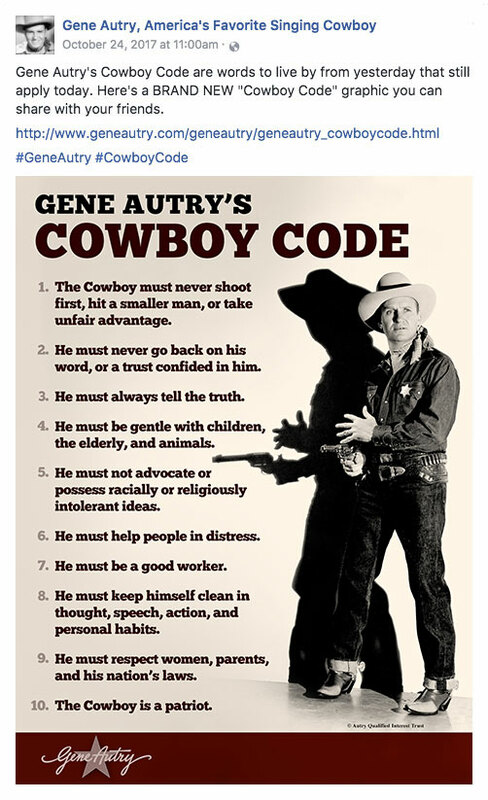 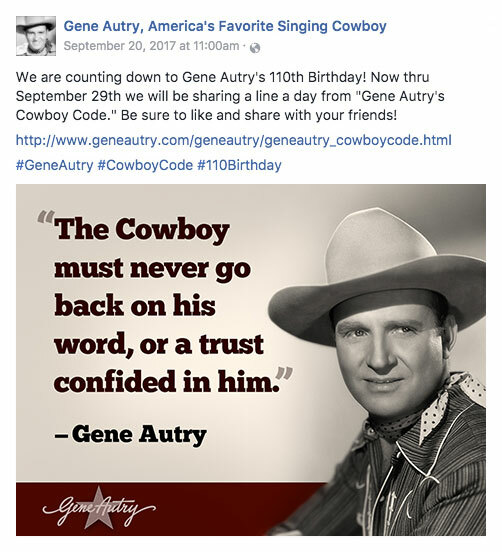 Gene Autry Entertainment is counting down the days to his 110th birthday on the Gene Autry Official Facebook page by posting a daily line from Gene Autry's Cowboy Code. 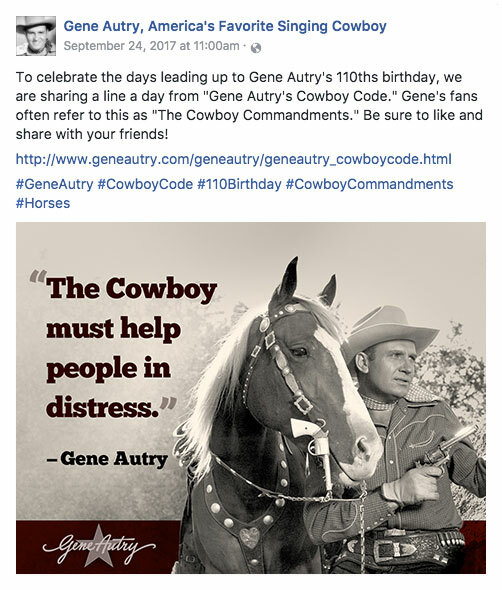 Since not everyone is on Facebook, the daily posts are listed below. 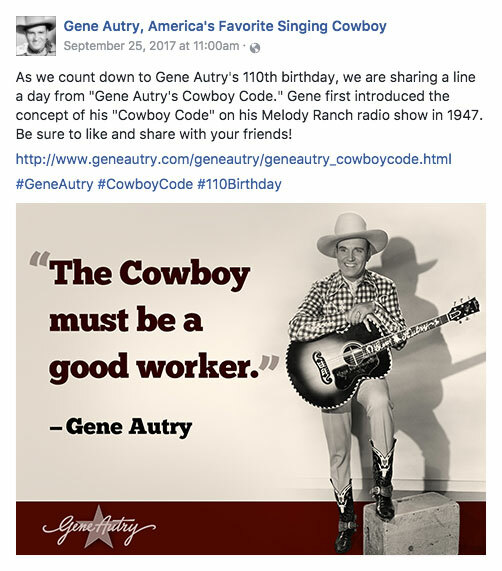 The Gene Autry Official Facebook page has movie and radio clips, photos, fun facts and information on Gene Autry on a daily basis. 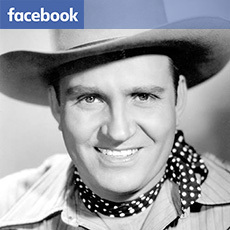 For more information on how to like, share, or be part of Facebook read more here.